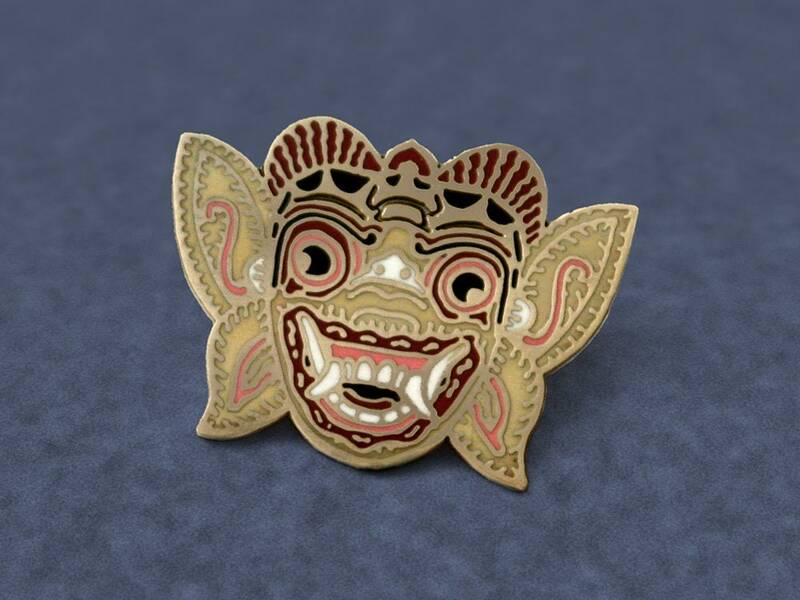 This lapel pin features the god-monkey/king-monkey Hanuman, one of the main characters from the Ramayana (hindu epic story). 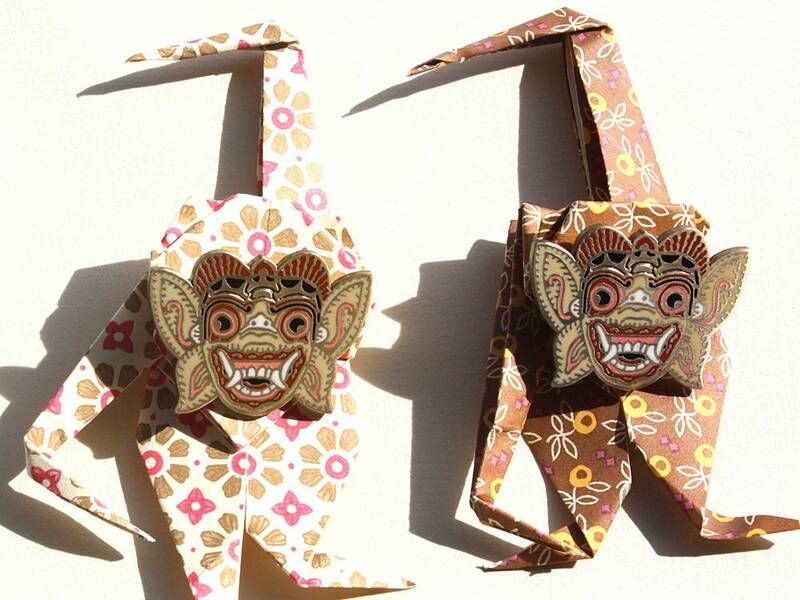 It was inspired by the dancing masks from Bali and Java, Indonesia (wayang wong dance). Hanuman is well known for an unfortunate episode of his life as a young monkey : he mistook the sun for a fruit and crunched on it. Indra, god of the sky went mad at him and threw a lightning bolt his way. He turned into ashes (but was later resurrected by a team of other gods). 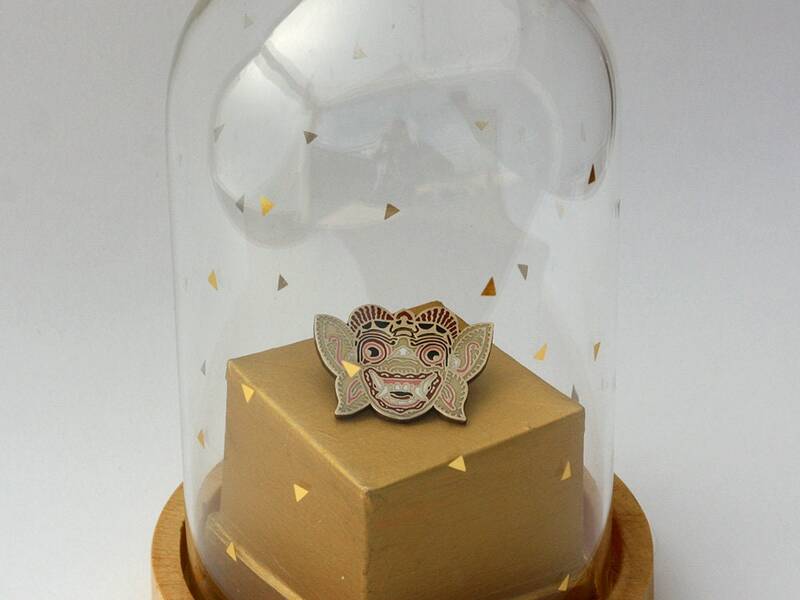 Another one of the most famous stories about Hanuman is this one : one day he walked to the Himalaya, looking for some special medicinal herbs you could only find on one certain mount there. He wanted to bring some back for his beloved master Rama. Not knowing how to recognize the herb, he lifted the whole mountain and brought it back with him. (He came back later to put it back). 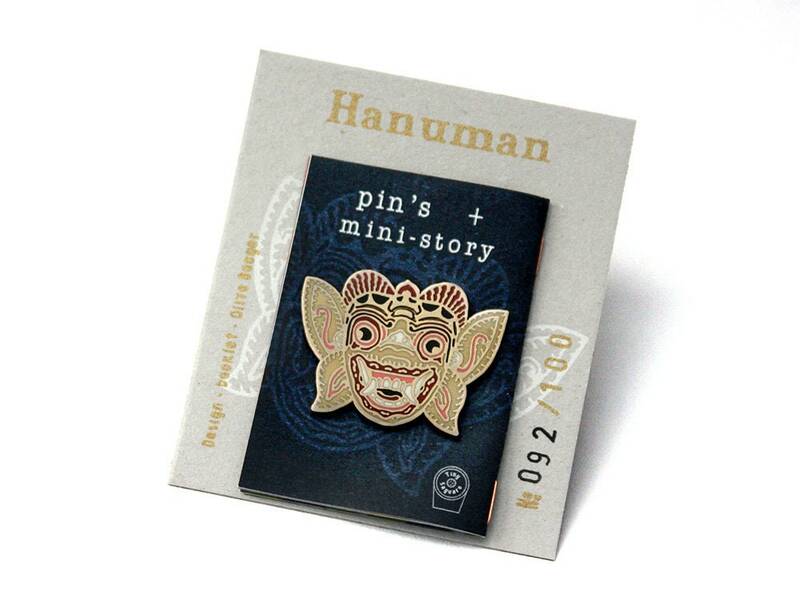 Hanuman is the patron saint of wrestlers and martial arts practitioners. 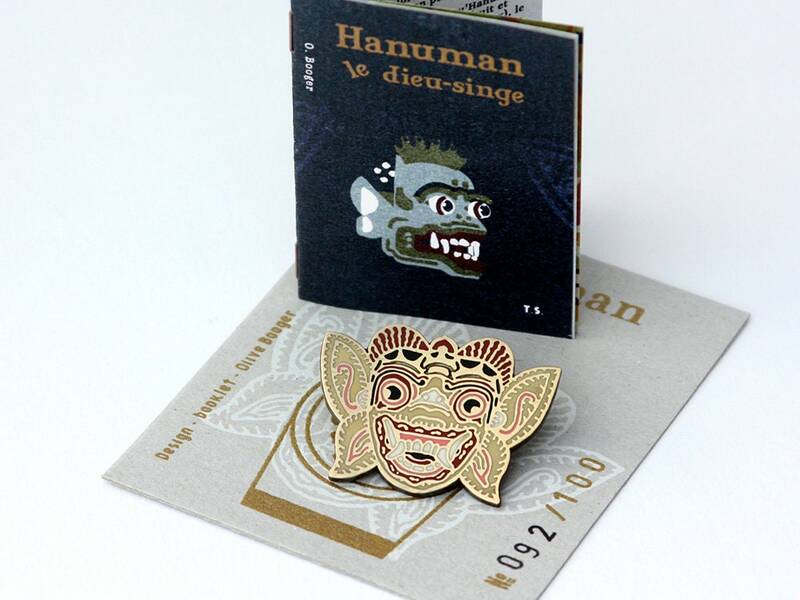 Like all other Tiny Saguaro pins, Hanuman comes along with a 12 pages (full color illustrations) minicomic (in English and in French). 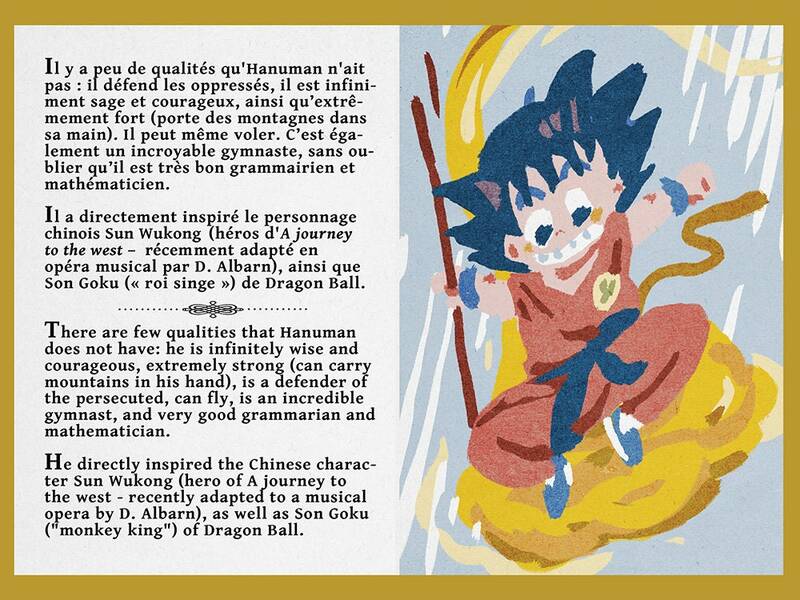 Fun facts about Hanuman. It all comes with a screen printed card and a clear plastic envelope. 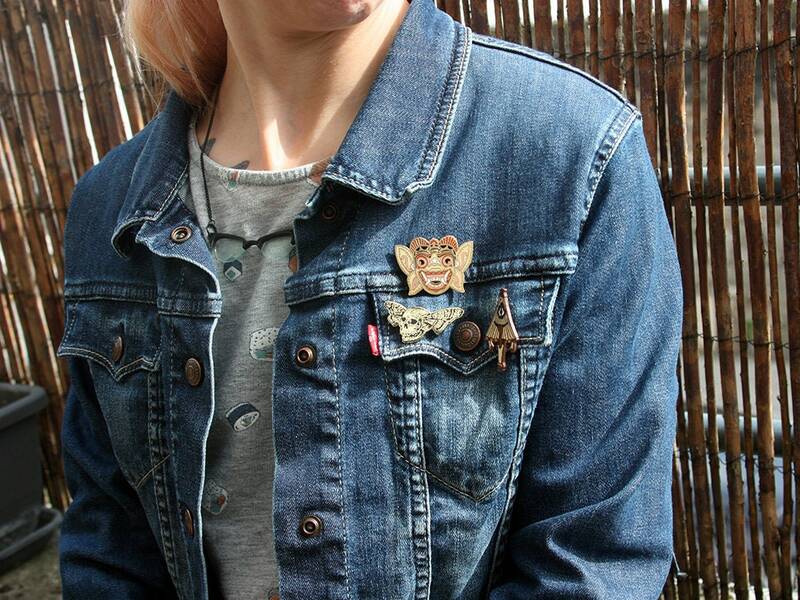 Beautiful pin and lovely seller. Thank you very much! 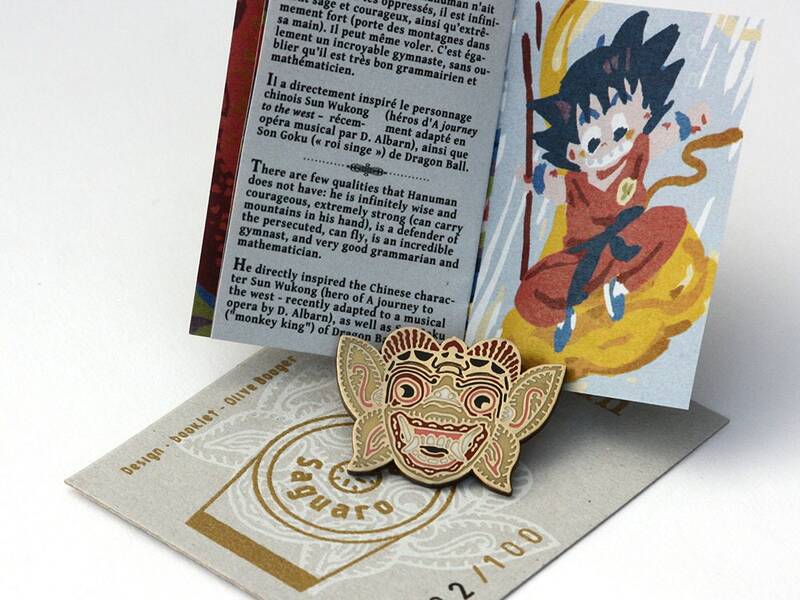 The pin is beautiful! 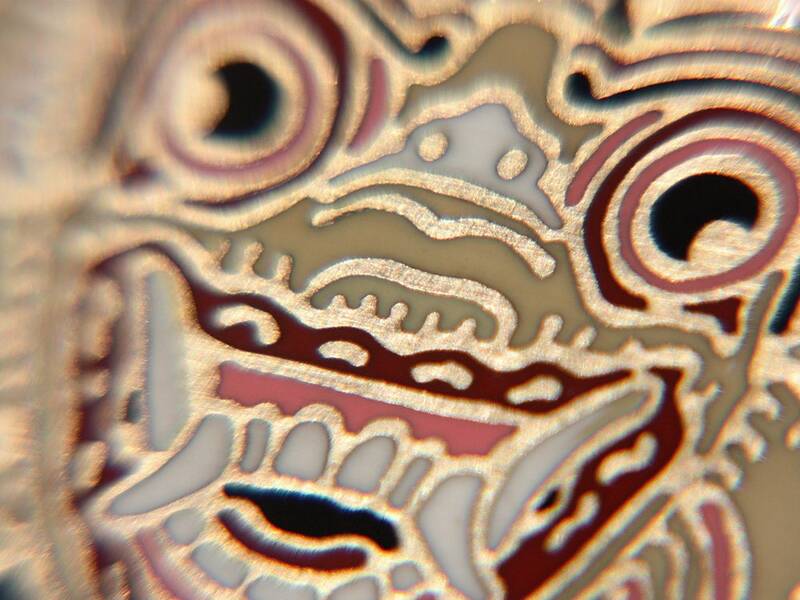 So much love for the details! I am obsessed with it. 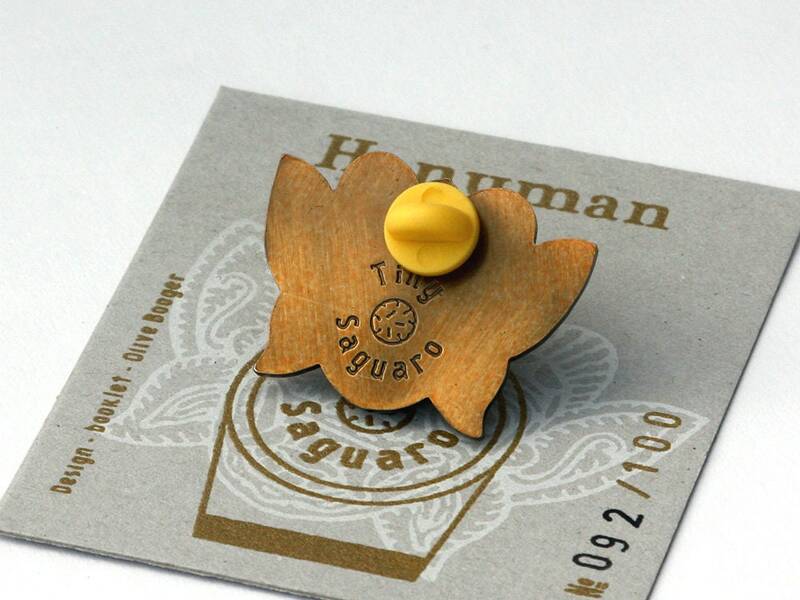 It comes in a cute package with a handwritten letter. I would definitely buy other pins soon. Vraiment superbe.Site efficace. Envoi rapide.Joliment emballé . It was exactly what I wanted. Merci les gars!